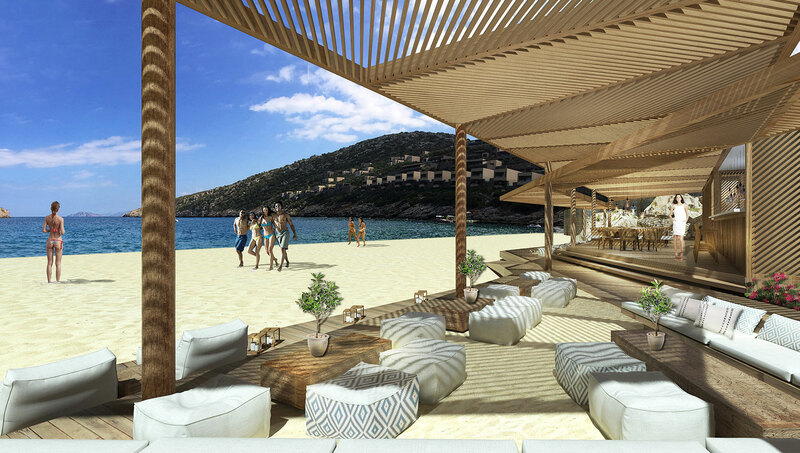 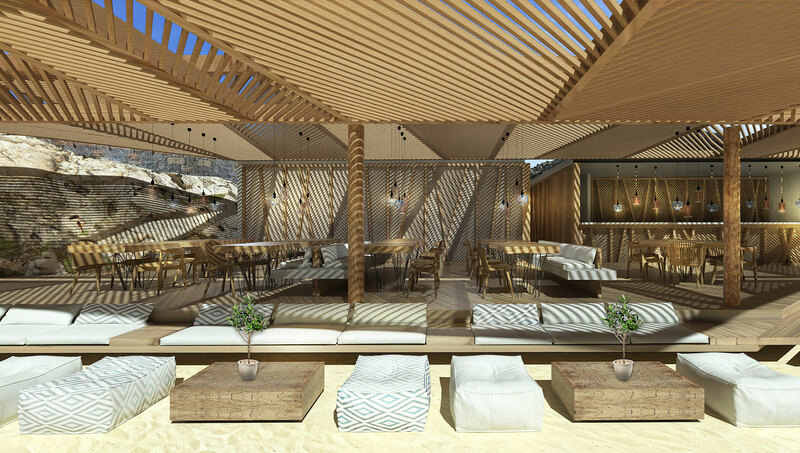 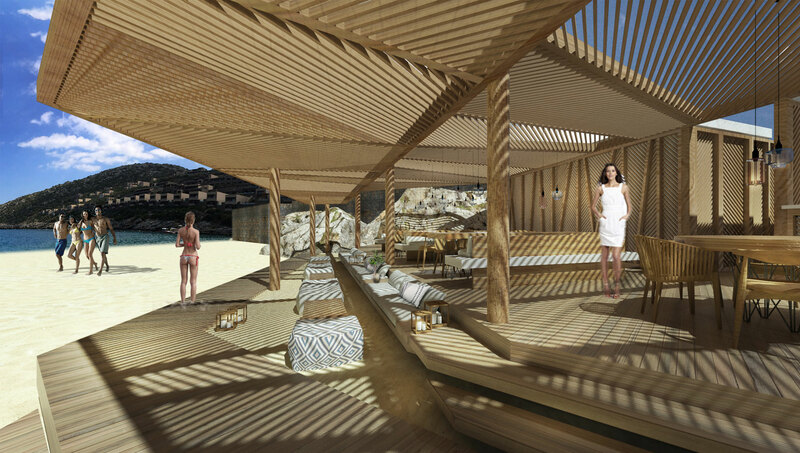 Our aim is to create a beach bar/restaurant that is integrated gently into the natural environment. 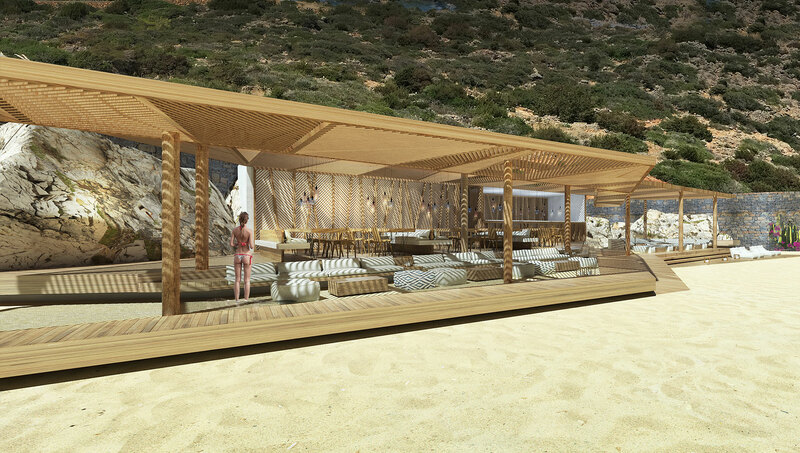 A ‘second topography’ with intermediate zones (‘sand lounge areas) create a natural transition between the sand and the restaurant itself. 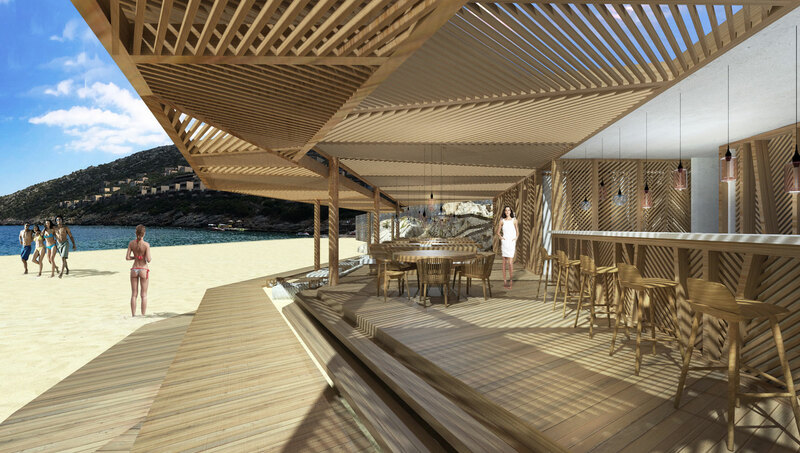 The proximity to the sea as well as the theme of the restaurant itself, led to inspiration being drawn from the dynamic structures of marine organisms such as fish.